Very oK !!! My tracks have a new sound!!! Thanks to the ALL engineers UAD!!! excellent tool for finding new sounds with this plug-in a great innovation! try it! Spent the last few days demoing this plugin. Got good results -- added a little distortion on the mid & side signals separately (sounds still had excellent clarity). Plus it sounded a little louder. I also used it on an acoustic track to bring it out more in the mix which kept the integrity of the tracks sound. All in all, a very effective tool. Good job. I allways love UAD's plug ins but this one I'm disapointed in I must say. I think its pretty tricky to set it to work the way I want it to. And it sounds pretty bad even. Disapointed I guess the word I'm after. I'll record a mono signal of a Moog bass, send it in the UAD console to a really wide chorus, then sum the two recorded signals into one aux track and use this M/S saturator to make it extra wide and gritty. It's like a magic trick. This is my second bx plugin and I've noticed this particular brand has a common denominator that I'm not thrilled with. They're both ok at subtleties but anything more than that and the phase gets out of whack very quickly. Especially disappointing on their EQ since there are more transparent EQ's out there that can notch out frequencies with no apparent phase shifts. The saturation is a great idea but I was left extremely disappointed. I was hoping for top end very warm fizzy distortion to sit on top of the stereo field almost as if it was a separate track added on to main guitars, but the distortion on this PI is harsh. I can get better results running the mix 2 tracks and run those through pres or even fuzz boxes or amp simulators. UA has some of the best PI's on the market but this is the last bx PI I'll ever buy. I recently added this to my plugin collection and it is AMAZING! I am working on an EDM project in the studio at the moment and this really brought extra clarity, seperation, and some extra bottom in the mastering phase. Well Done ! Try this bx_saturator after your favourite EQ on your drum channels, especially on bassdrum, tam tam’s. I’m addicted. Amazing plug in. Although it is not as colorful as e.g. 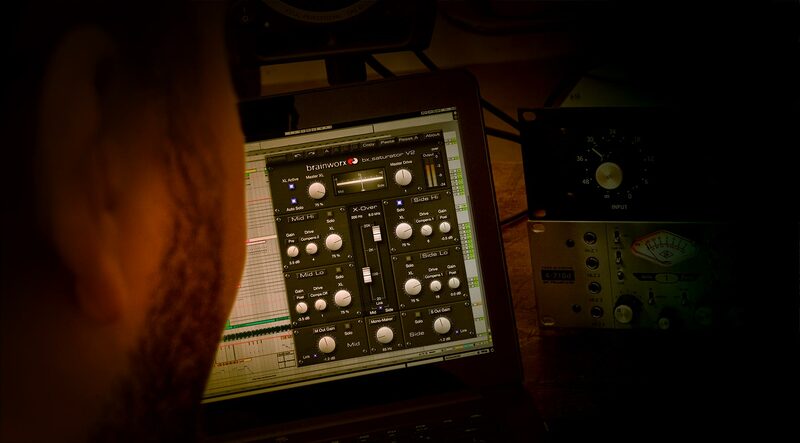 the culture vulture, the multiband design and the m/s processing make the bx_saturator a very flexible mixing tool. I really like the solo buttons and the mono maker. Hopefully more developers will come up with ideas like this in the future. Amazing for the mix bus. You can add a lot without! There are other distortion plugins that are better for single tracks. But for busses this one is the best I’ve tried. I use this a lot on snare low end, really helps push it and give it a "thump" only found by this app. This is not another simple saturation/harmonic distortion plugin, this is way more than that. Just getting my feet wet with this bad boy! With Mid/side processing and loads of bells and whistles, I'm sure this will make my life easier!